One of our recent posts gave kudos to Saga Humane Society for the wonderful job they do, taking care of Ambergris CayeÂs abandoned and disenfranchised pets and stray animals. Â Today weÂll clue you in on where the islandÂs residents and expats go to meet their basic pet needs.Â With the many pets on the island, there is a need for dog walking, grooming, training, daycare, boarding, and pet supply services. Visitors thinking of moving to Ambergris Caye often ask if these services are available on our small island. So today IÂd like to tell you about Pampered Paws. Â ItÂs the one and only pet business on the island. 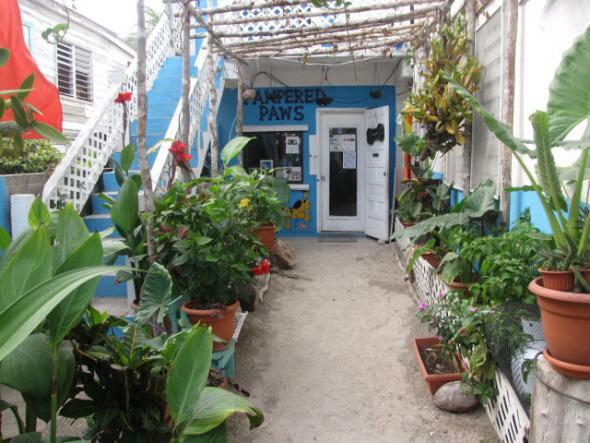 Fortunately, our friends at Pampered Paws have been doing a great job catering to the needs of the islandÂs furry friends, and their doting owners. ).Â Katia Marin was one of their first volunteers. SheÂs been on SagaÂs Board of Directors for over 10 years. Â She is also the Animal Welfare Director and an Animal Control Officer for San Pedro Town. It all started in 1994, when Kathy was working a fulltime job, but decided to take an I.C.S. Correspondence course in Animal Science.Â KathieÂs a San Pedrana who had always been interested in animals.Â In 2001, she became a Certified Dog Groomer at Golden Paws Dog Grooming School in Houston, Texas.Â She later returned again to the U.S.A., in New York, to earn her Master Dog Trainer Certificate. She received this certificate at Antony Jerome's School of Dog Training and Career Inc.Â The course also certified her as a dog behavior specialist. Today, Pampered Paws is the biggest, most successful pet supply and service center on the island. Â Click here to learn more about Pampered Paws... 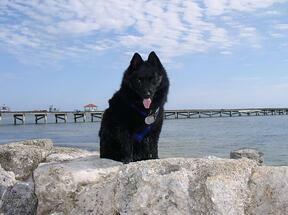 They offer an array of products and services to meet all the islandÂs pet needs, especially for dogs. 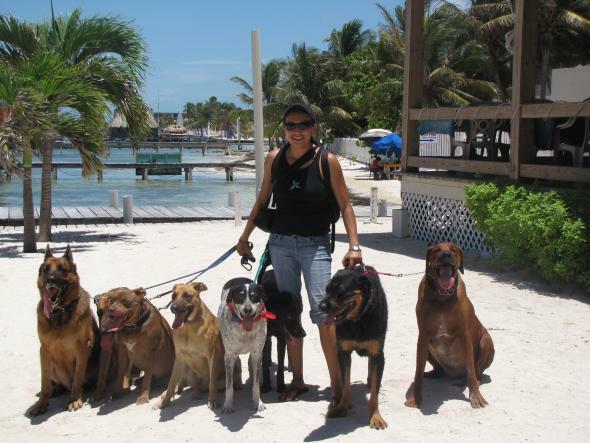 Â So if you are planning to move to Ambergris Caye, you can feel more comfortable about bringing your pet with you.Â Once you move here, youÂll come to appreciate the warm, friendly care Pampered Paws will provide for your pet. And itÂs good to know that Kathy is continuing her education by attending workshops and seminars all across the U.S.Â This year, she attended the Caribbean Animal Welfare Conference in Puerto Rico, which brought together animal welfare groups from across the Caribbean for training and networking event.Â She also attended the Animal Expo in Orlando, which offered workshops and educational sessions concerning everything from shelter operations and executive leadership to emergency services and equine protection. In early 2011, Kathy became a member of the International Association of Canine Professionals (IACP) and attended her first IACP conference in San Diego, which had great speakers like Joel Silverman, Jeff King and main speaker Cesar Millan, the Dog Whisperer.Â The conference focused on topics of Dog Training and Behavior with a series of workshops and seminars led by experts in the field. During the last 10 years Mike and I have relied upon Kathy and her committed team. They help us by walking and caring for our dogs when we travel.Â We also have Pampered Paws walk our dogs twice a Â week, mainly for socialization. We pop into Pampered Paws whenever we need basic pet supplies. But while Tashi was with us, we boarded her with Pampered Paws whenever we traveled. 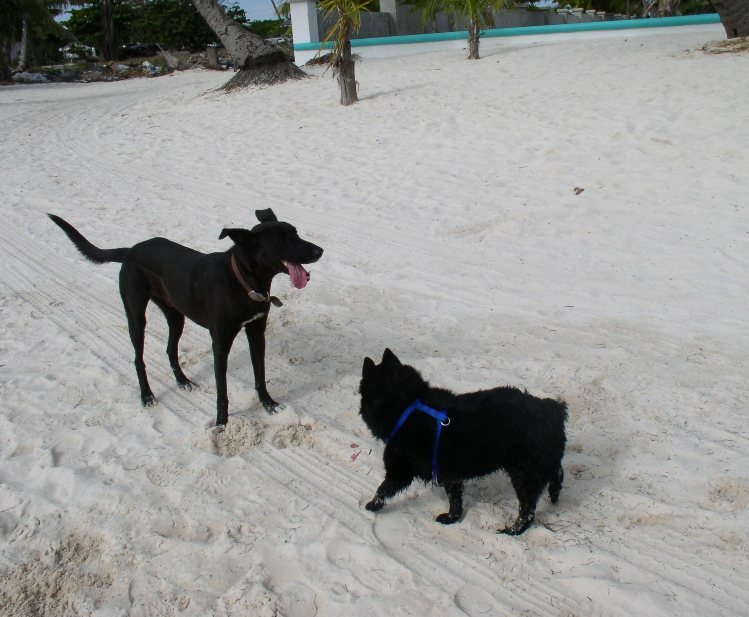 Now we have two Belizean pot lickers - Ziggy and A.C. Â We walk Ziggy and A.C. on the beach. But we decided that they needed some doggie socialization and training.Â A.C. is at times skittish around other dogs.Â So we decided they would benefit from group dog walks with David, KathyÂs most recognized dog walker.Â David is often referred to as the Âdog whispererÂ of Ambergris Caye. Â HeÂs not what you would call a big guy. Â So it always tickles me to see him walking the beach, surrounded by five or more large dogs, all well behaved and firmly under his spell. When we travel we rely upon Kathy and her team to care for A.C. and Ziggy.Â They show up as expected, feed and water our dogs, take them for walks, give them baths, and whatever else is needed. They recently added a larger boarding facility at their shop.Â So, now weÂll have the option of boarding 70 pound Ziggy, too, whenever we leave. So, if youÂre thinking of moving to Ambergris Caye with your best furry friend, be sure to check out Pampered Paws and the Saga Humane Society.